Item # 307857 Stash Points: 2,595 (?) This is the number of points you get in The Zumiez Stash for purchasing this item. Stash points are redeemable for exclusive rewards only available to Zumiez Stash members. To redeem your points check out the rewards catalog on thestash.zumiez.com. 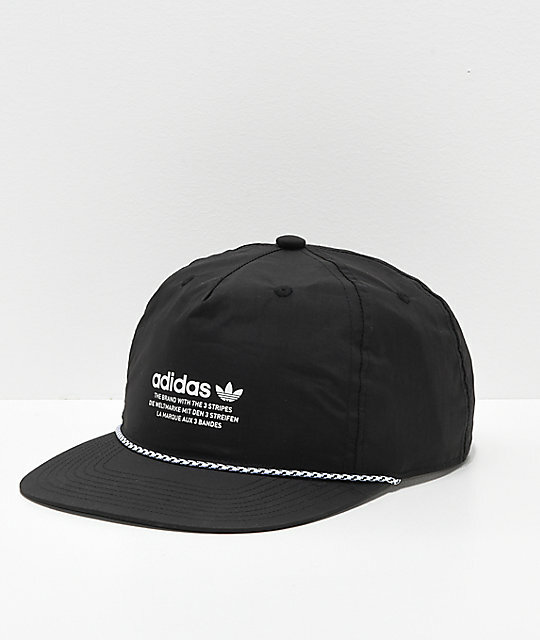 Top off your athleisure looks in iconic style, with the adidas Originals Relaxed Rope Black Strapback Hat. 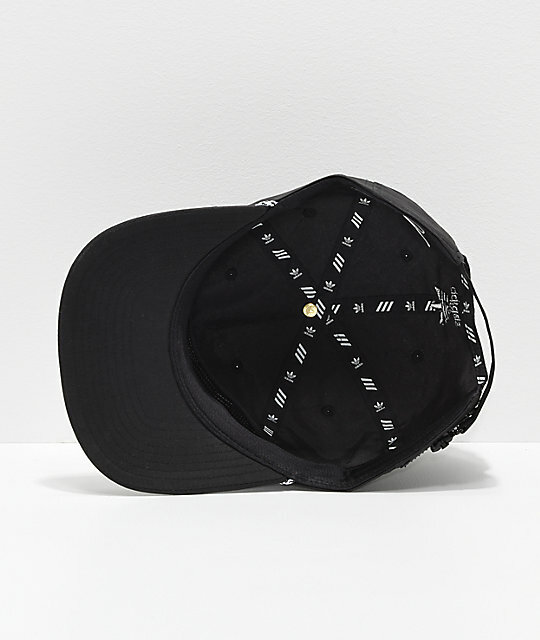 This all black strapback features a deconstructed crown for comfort and durability while being most prominently highlighted by screen printed logo script at the front, accompanied by rope detailing below for a fresh take on a classic look. 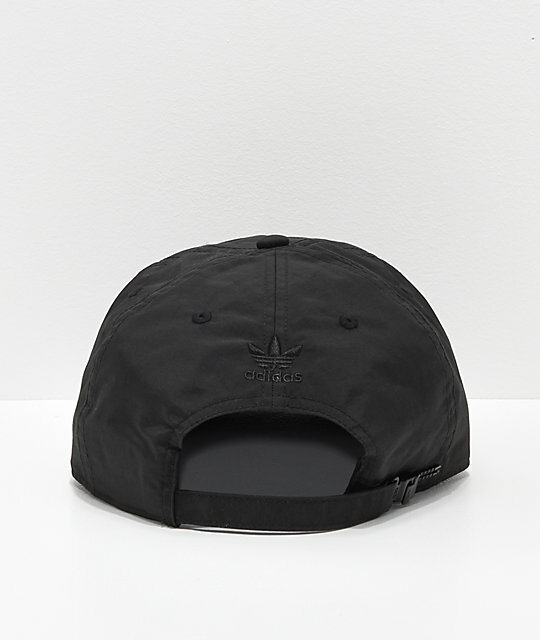 Originals Relaxed Rope Black Strapback Hat by adidas. Screen-printed adidas logo script on the front in white. Straight bill with black and white rope detail.